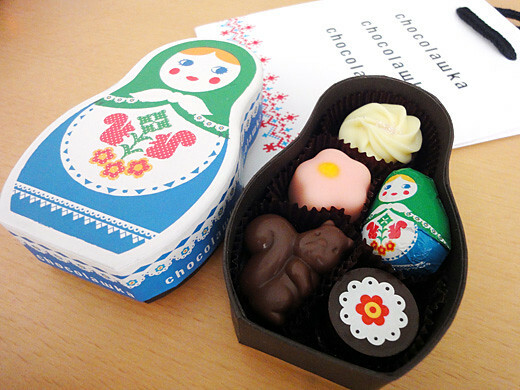 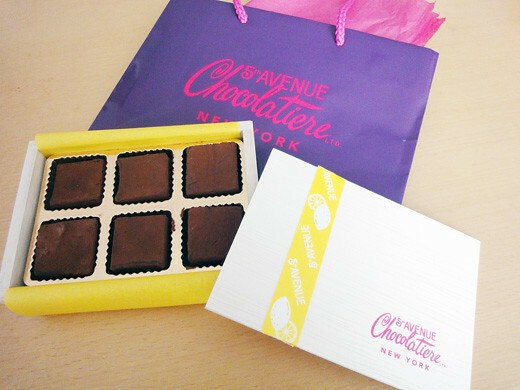 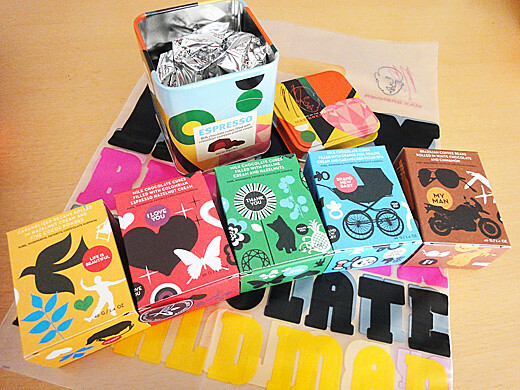 I got some wonderful chocolates for Valentin’s Day at Ikebukuro Seibu department store. 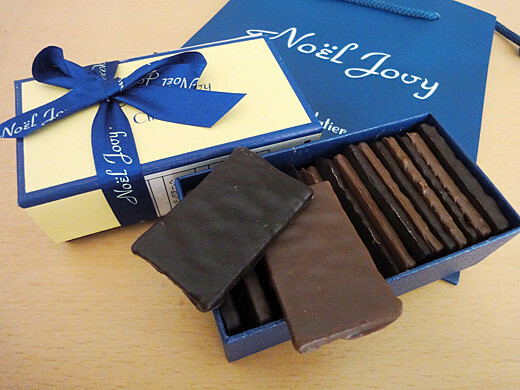 They are ‘Noel Jovy’, ‘Debailleul’, ’5th Avenue Chocolatiere’, ‘Max Brenner’, ‘Chocolawka’. 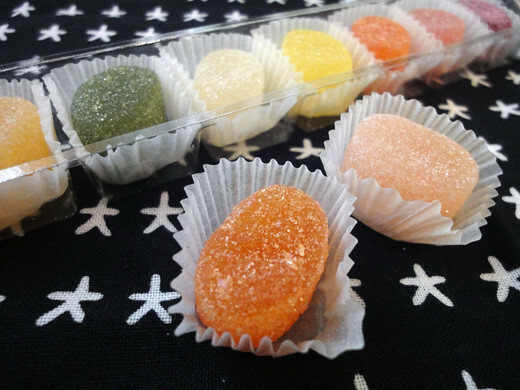 They are just amazing to watch and the taste like heaven! 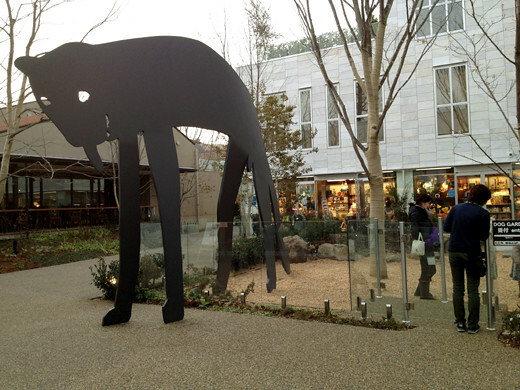 I went to the Daikanyama Tsutaya Bookstore at the newly built shopping complex called Daikanyama T-SITE. 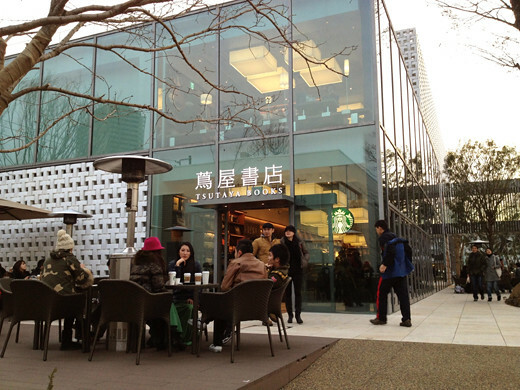 The space is lined with buildings in a T-shaped motif, many of them specialist shops such as restaurants, a camera shops and an electrically assisted bicycle shops. 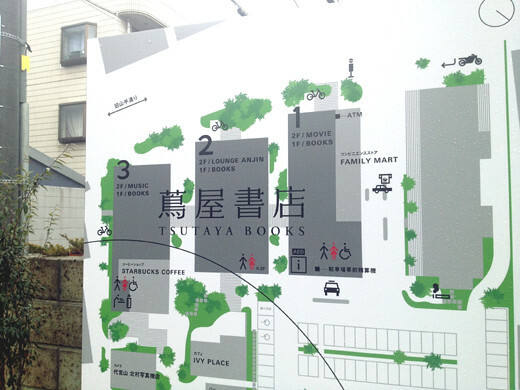 The Daikanyama Tsutaya Bookstore is made up of three buildings. 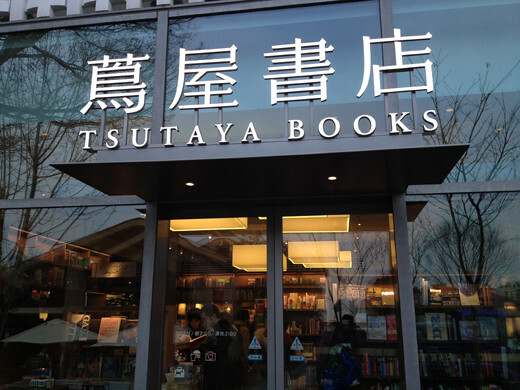 It’s completely different from the other Tsutaya shops up until now, selling mainly books, and as a bookstore, it is a space that can be fully enjoyed by children and adults. 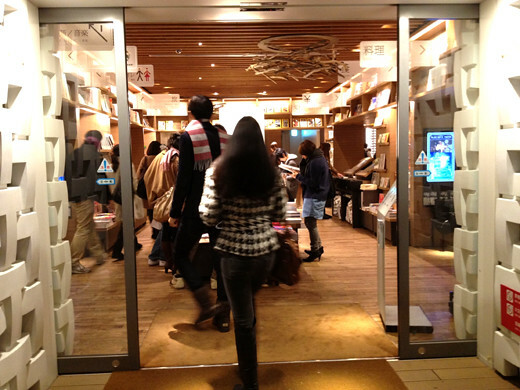 Of course, there are well-stocked DVD and CD corners, and you can probably find movies for enthusiasts of various tastes there as well. 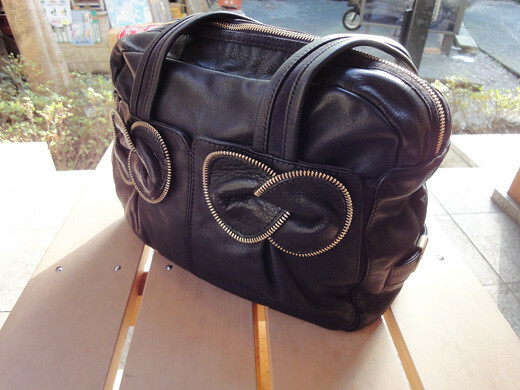 Since you can do returns by mail for free from anywhere in Japan, even people who live far away can rent there care-free. 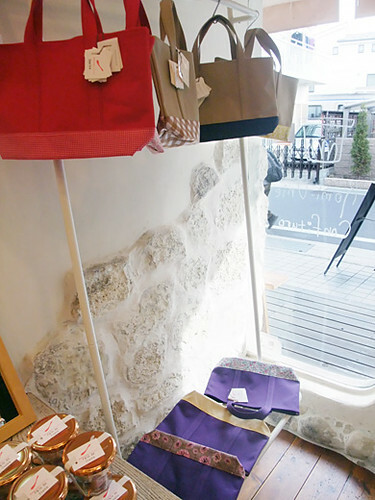 It truly was an enjoyable space, such that you could spend hours there without getting tired of it. 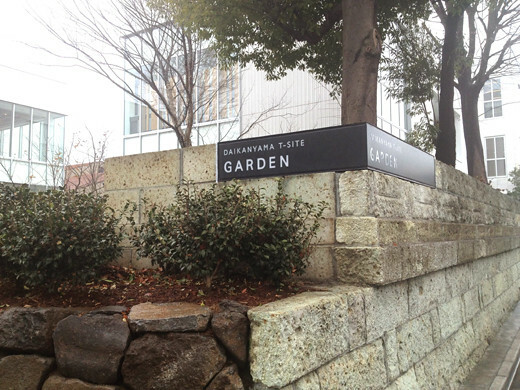 I think I will definitely end up going there again many times in the future. 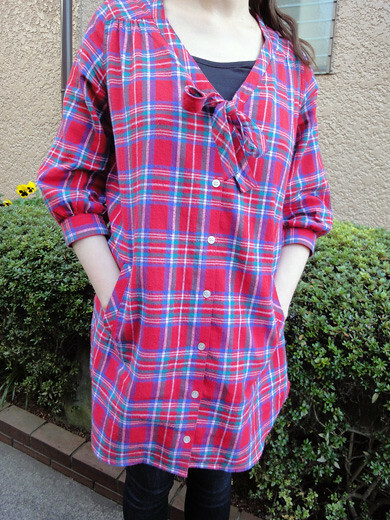 I got lovely red, blue and white plaid dress from MILK FED. 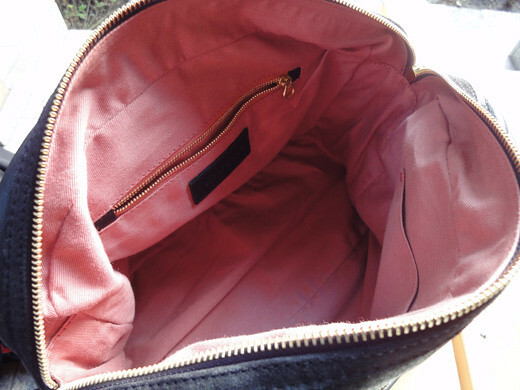 Two pockets at the side and button front closure. 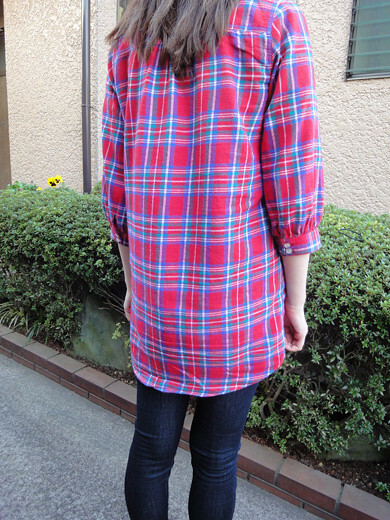 I can try it with tall boots and skinny jeans for crisp-weather style that stays comfy. 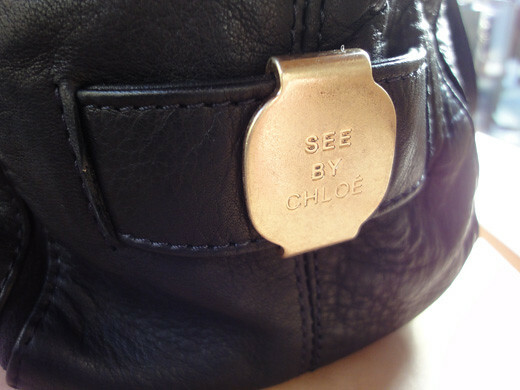 I got a black leather & suede bag, ‘Claras Day Bag’ from see by Chloe at Ikebukuro Seibu department store. 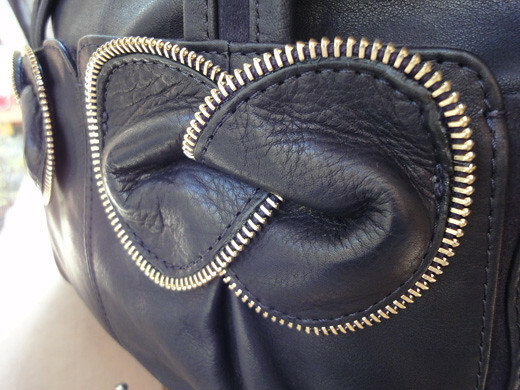 The leather is very smooth and soft, and it is not very heavy. 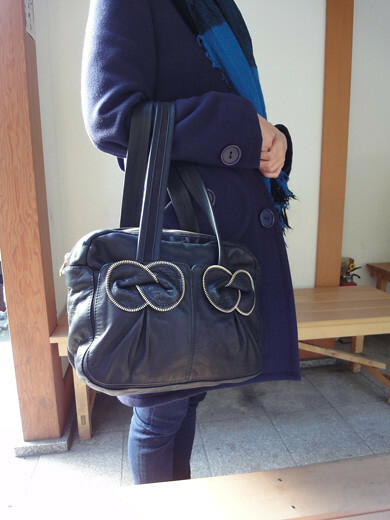 rectangular shape with the flat bottom because I can put a lot of my staff in there. 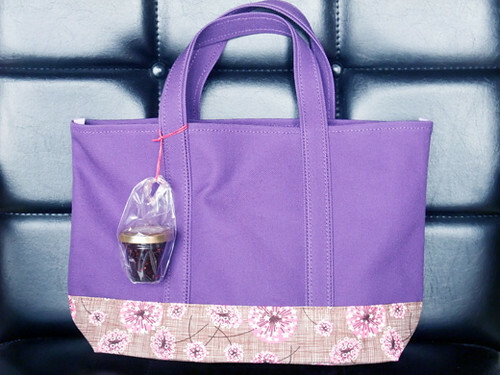 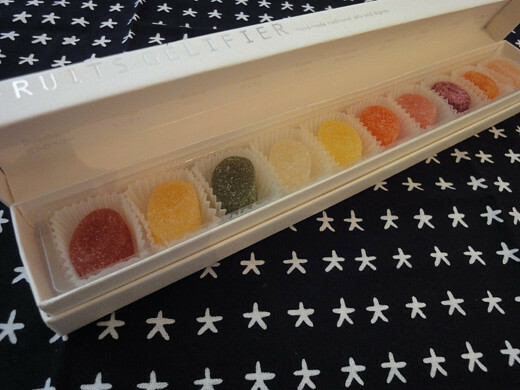 My friend gave me beautiful and colorful Pates de Fruits, ‘Fruits Gelifier’ from Isetan. 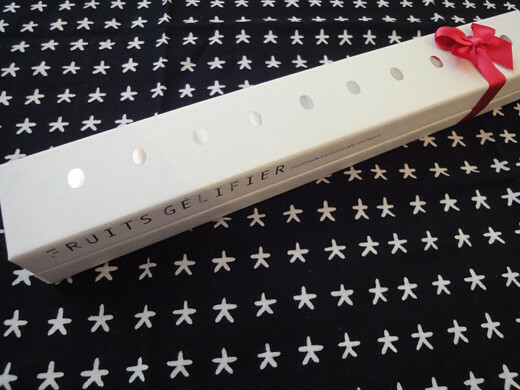 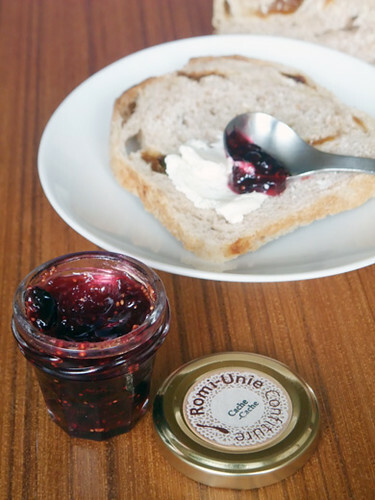 Pates de Fruits is an European traditional confiserie, however the ‘Fruits Gelifier’ has a slightly sticky texture that is adapted to the Japanese plate. 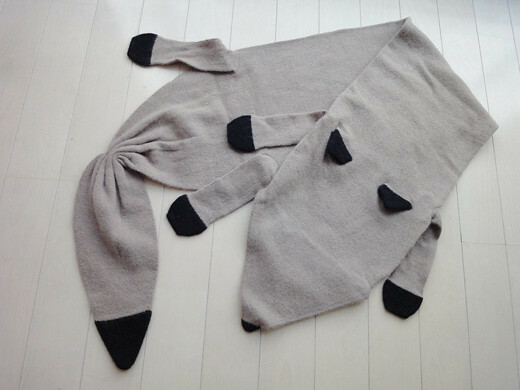 The very cute ‘Sooty’is a fox designed scarf. 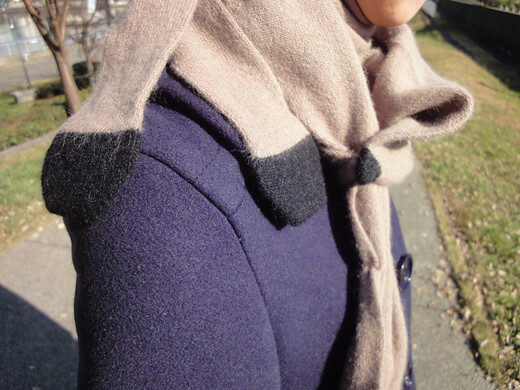 The ears, feet, tail and nose are tipped with black on his beige body. 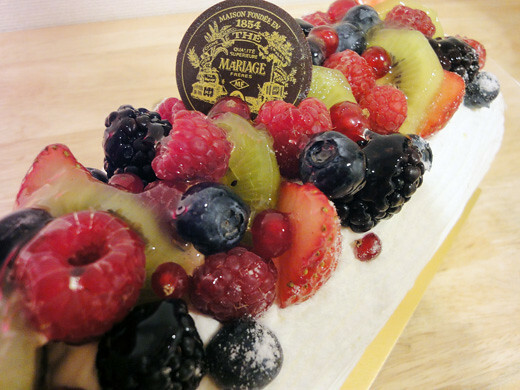 My family and I had a Christmas cake, Buche de Noel from Mariage Freres at Matsuya-Ginza department store. 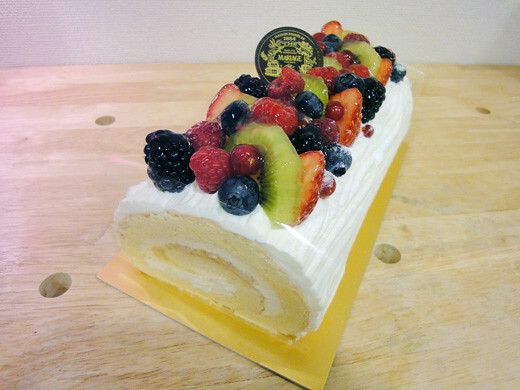 It is their limited special cake for Christmas. 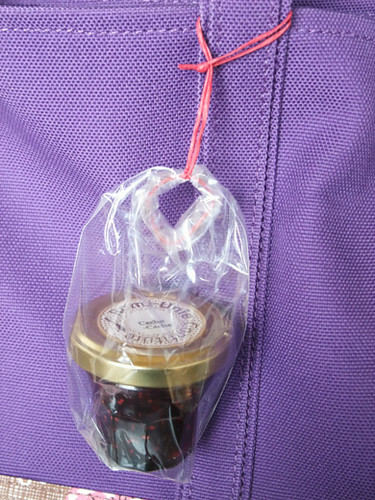 original flavored tea, Esprit de Noel is used in the cream. 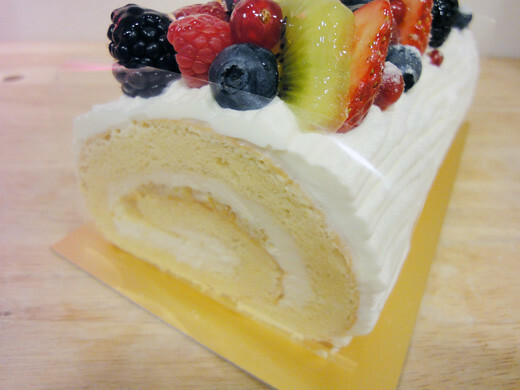 The cake had very rich taste with fragrant berries and the special tea. 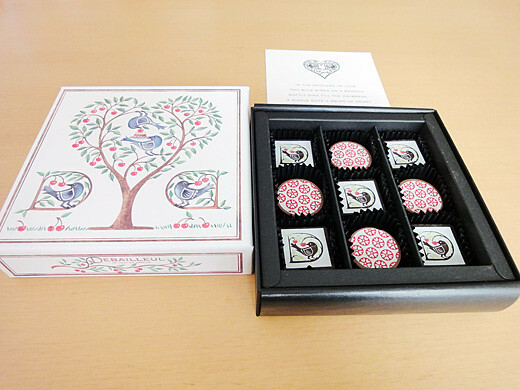 Also, a pack of the Esprit de Noel tea leaves comes with the cake.